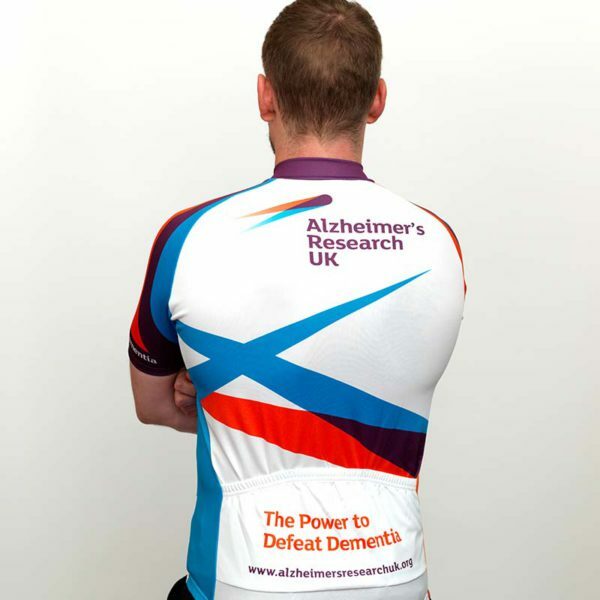 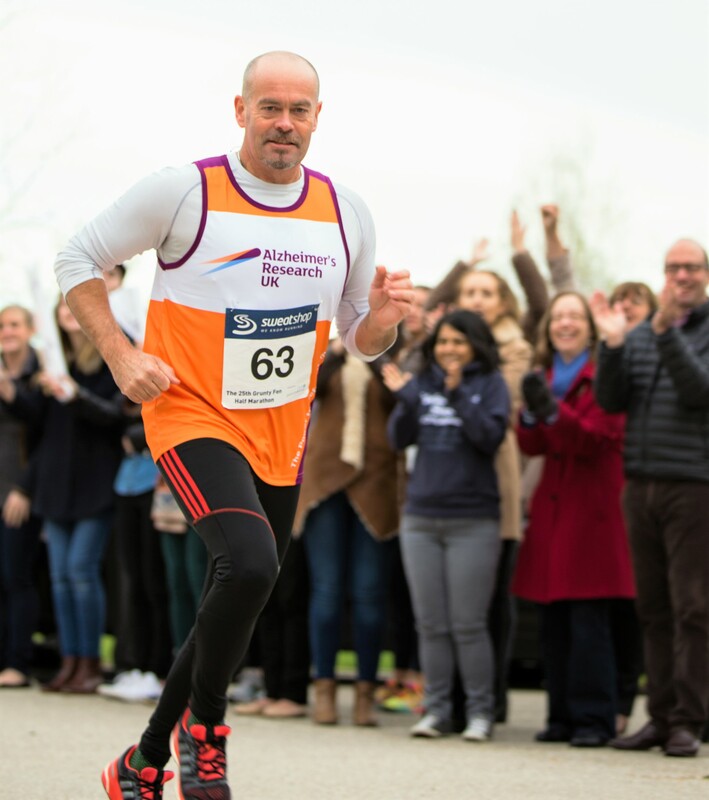 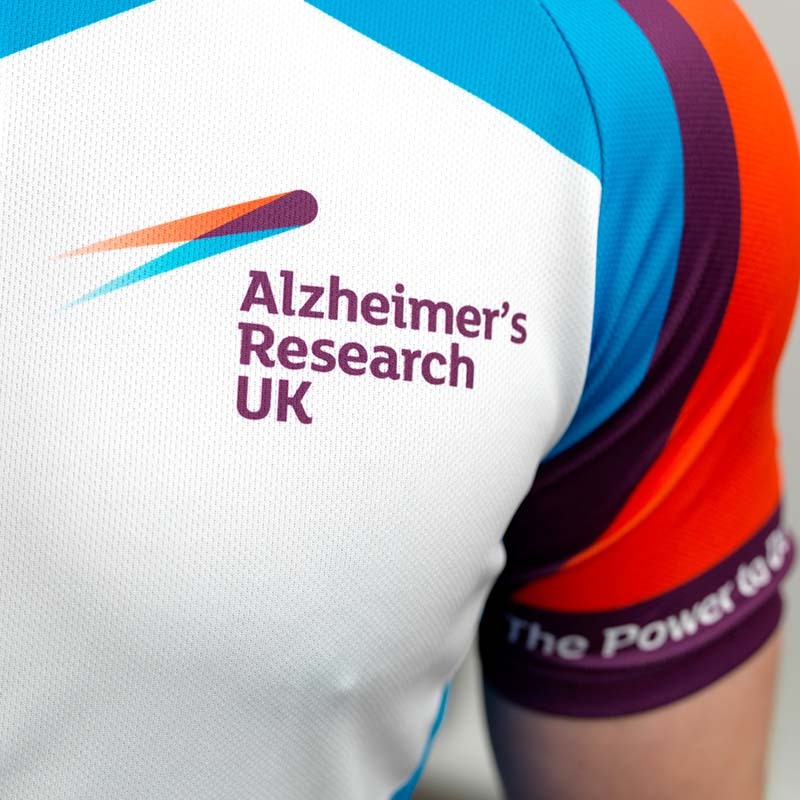 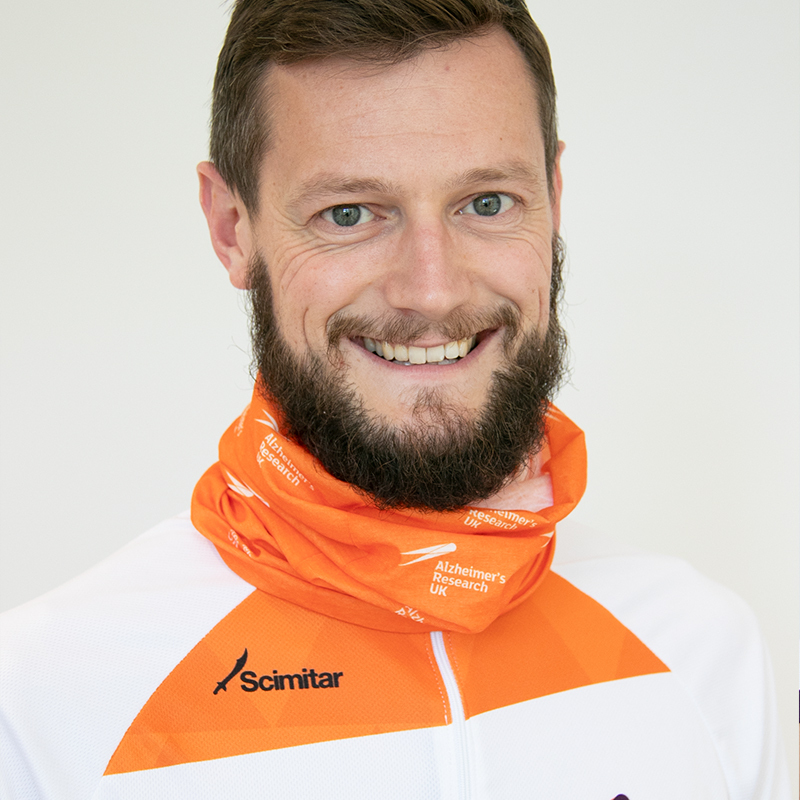 The Alzheimer’s Research UK high performance cycling jersey. 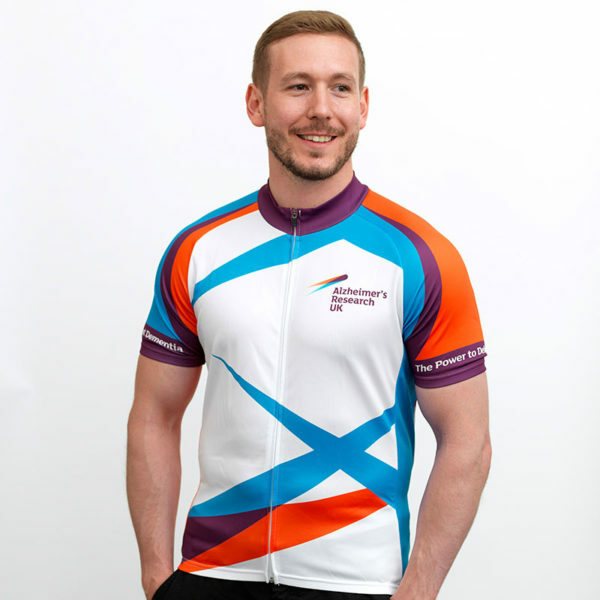 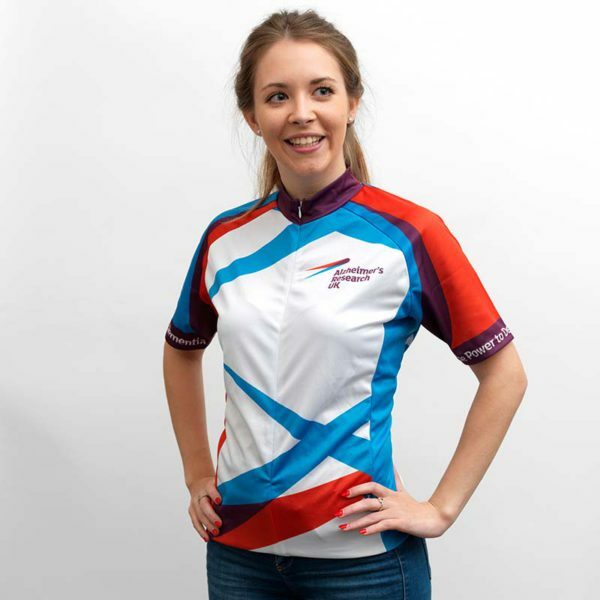 Made from 100% breathable polyester, this cycling top has a striking and colourful design with elasticated sleeves and hems, 3 rear pockets and a full length zip. 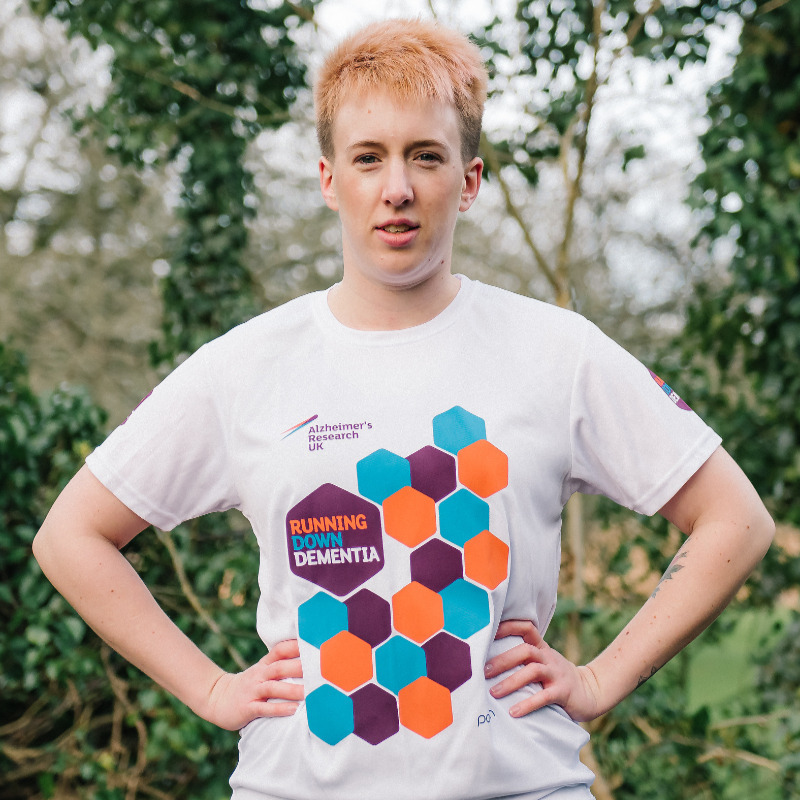 A unisex design available in sizes Small to XXL.